A complete guide to help you find the best fishing kayak for your specific needs. Finding something that actually meets the criteria for being one of the best fishing kayaks seems to be a task that’s much easier said than done. With thousands of different kayaks on the market, it’s a tough choice deciding on one specific make and model, which is exactly why you need this guide to arm you with the most comprehensive information, effectively aiding you in making the best choice regarding your purchase. Most of the fishing kayaks currently available on the market come stock-standard, and if you’re a serious angler, it might not be ideal for you. Fishing from a rigged kayak can help eliminate the need for aftermarket gadgets that have to be fitted to your kayak, but in this post, we’ll be discussing what the best kayaks look like, and what you should be considering before taking the purchase plunge. Will you opt for a longer length and sacrifice width, and how comfortable are you with the idea of having one or the other when it comes to speed and stability? This question will help determine your specific needs and the type of kayak you should be considering for your angling adventures. Normally, the shorter your kayak, the slower it goes, but the longer it is, the more space it gas inside and the more stability it offers. Are you a sit-on-top angler or one that prefers a sit-in kayak? Most fishermen prefer the sit-on-top fishing kayaks simply because they allow for easy entry and exit from the vessel, and they’re also easier to customize than the sit-in versions. If you plan on fishing in seriously cold waters, the sit-on-top idea might not ideal since you’re guaranteed to get soaked. For cold water uses, windy conditions, and strong currents however, the sit-in kayaks are the better option since they provide more stability and shelter from the external factors. Using paddles when it comes to kayak fishing is never a bad idea; it’s actually the preferred and much less fussy way of getting around in the water. If you installed a trolling motor in your kayak, it becomes a mini-motorboat, which defeats the whole idea you started out with. Your budget will be one of the predominant determining factors when you’re out shopping for a new angling kayak, but it should allow enough wiggle room to ensure that you’re investing in a solid performing product that will last for years to come. You’re going to have to opt for a functional kayak that doesn’t compromise on comfort or safety aspects. In all fairness, the first thing you need to do before you even start looking at what’s available out there is to determine what exactly your budget is. The answer to that question will help you narrow down your options. While some might try and consider picking a kayak they found from some list aptly named the top 10 fishing kayaks, we prefer to narrow things down right from the start. Now that you know what to look out for when it comes to purchasing a new kayak for fishing trips, it’s time that we showed you what we thought about some of the most promising fishing kayaks that the 2017 market has on offer. We’ve listed them in numerical order, ranging from our top pick, all the way down to our honorable mention pick. If you’re hard-up on purchasing a kayak that will never fail you in the speed department, the Hobie Mirage Oasis Kayak might be one of your best options, and it’s also one of the best sit-in angling kayaks on the market. This kayak is a great performer, regardless of whether you’re tandem-fishing or enjoying the peace and quiet out by your lonesome self. The fact that the Hobie Mirage Oasis has a retractable rudder system ensures that you’ll be able to engage or disengage the kayak by simply puling the T-shaped control handles, and the fact that the controls are accessible from front-and-rear positions ensure that its super versatile. Available in the 15 and 13 models, the Ocean Kayak Trident models are both fantastic options when it comes to finding a suitable fishing kayak. Even after years on the market, the Trident 15 is still one of the market’s best performers in its field, duly qualifying it as our number two pick. With these kayaks you can rest assured that all your equipment can easily be stored on board the kayak, plus they also boast a range of mounting options. The kayaks also come with Pro Hatch featuring Cross Lock Strap systems for even more storage room. If you’re into the idea, this is one of the best sit-on-top fishing kayaks you can get your hands on! Features a Sonar Shield which not only protects the on-board fish finder display, but also makes daytime reading easy. Pelican has a much respected Premium line of kayaks available on the market, and the Liberty 100X Angler is part of this series. 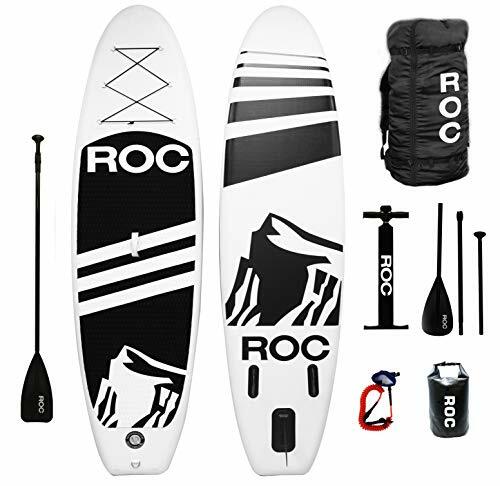 The reason why we’ve included this fishing kayak in our top pick roundup is because it’s very functional and durable, plus it might just be one of the best budget buys out there. The kayak is made with a polyethylene in the hull, improving the kayak’s aesthetics, plus it also ups the kayak’s performance when it comes to speed, stability, and tracking. 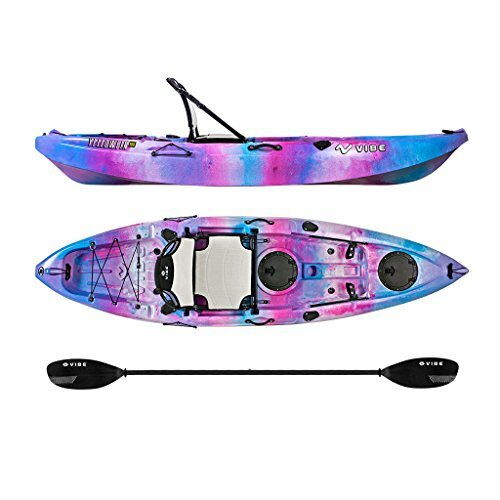 The Pelican Liberty 100X Angler comes in as one of our top picks for the best beginner fishing kayak. It’s pretty clear to see that the Hobie Mirage Oasis comes in as our pick for the best kayak for fishing, and according to the stats available at the time of publishing this post, the anglers out there all seem to agree that it’s one of the most versatile and reliable fishing kayaks out there. The reason why it takes the crown is because it offers you so much more than just a sit-on-top kayaking experience and the amount of comfort that this vessel offers are surreal. Now that you’ve read about the cream of the angling kayak crops, it’s pretty clear to understand why you need to invest in the best kayak that your budget provides for. Once you’ve determined the type of kayak you need (sit-in or sit-on-top), you should be able to make a decision with the information this post has just given you, and a good decision at that.